On the occasion of the Barnes Foundation’s forthcoming Solo Series Concert: Cowell, Cage, Crumb: Pioneers of the Avant-Garde Piano, on November 8, 2017, Edwin A. Fleisher Collection of Orchestral Music at the Free Library of Philadelphia is embarking on a series of blog posts to explore Cowell, Cage, and Crumb’s relationships to each other, American music, and the Fleisher Collection. 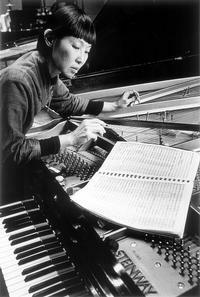 Notably, this performance will feature the Philadelphia premiere of Metamorphoses, George Crumb’s first major piano cycle since his ground breaking Makrokosmos in the 1970s, as well as featuring world-renowned pianist Margaret Leng Tan. Leng Tan puts it best when she says that Henry Cowell (1897-1965), John Cage (1912-1992), and George Crumb (b.1929), "laid the foundation for the extended language of the piano, conjuring forth tantalizing new sound possibilities from the piano’s interior." Their experimental piano works will forever link the three C's in the annals of modern music history. 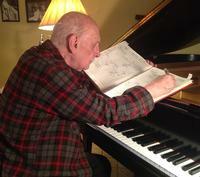 Through such "pianistic innovations" as the tone cluster—combinations of notes achieved by depressing immediately adjacent notes on the piano with an open hand, closed fist, or entire forearm—and string piano—playing directly on the piano strings by plucking, strumming, hitting, and scraping—Henry Cowell invariably has become integrated into American popular culture. When Cowell debuted these techniques and premièred such works as The Tides of Manaunaun (1912) and The Banshee (1925), critics started comparing him to American boxer Jack Dempsey. Then the cartoon allusions started, most notably Popeye. Cowell’s performances had garnered enough attention around the world that he was commonly linked with any image of a performer pummeling a piano. Taking the pioneering efforts of his teacher Cowell to the next level, in 1938 John Cage began to compose for the "prepared piano" (Cage Perilous Table of Prep – "Excerpt from score for Perilous Night by John Cage courtesy of C. F. Peters Corporation, New York. "), in which such materials as bolts, screws, felt, rubber, and bamboo are placed as mutes on the piano strings in order to alter their sound. Initially created out of necessity for the composition, Bacchanale (1940), because a percussion ensemble wouldn’t fit into a particular venue, the prepared piano became a particularly cathartic instrument for Cage. Cage’s compositional hallmark was "chance" music, the most famous and controversial example being 4’33’’. For this work, the performer is instructed to not play their instrument for four minutes and thirty-three seconds. The piece comprises whichever incidental sounds one may hear in the environment for the duration of the work’s three movements. From the 1950s onward, nearly all of Cage’s chance compositions were written by consulting the ancient Chinese divination text, I Ching. 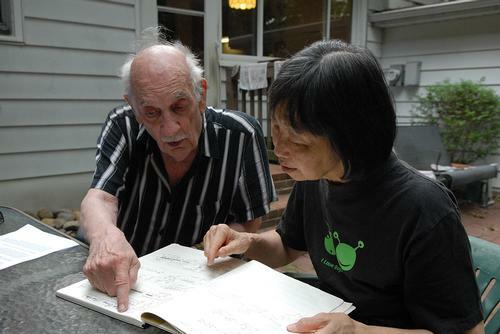 Throughout his career, George Crumb’s piano, vocal, and chamber compositions have become known for their exploration of timbre, unorthodox forms of notation, and other extended instrumental and vocal techniques. In his piano works Makrokosmos (1972-1979) and Metamorphoses (2015-2017) he instructs the performer to play in such unusual ways, like the aforementioned string piano techniques, symbolically lays out the musical notation (courtesy of Dr. Steven Bruns) in a spiral form among others, and requires the pianist to sing, shout, whistle, whisper, and moan all while playing the instrument. Throughout his career, Crumb has composed works that mix and contrast effects of different musical styles: from western art and folk music to non-western musical traditions. This is the first in a series of posts over the next few weeks that explore the three C’s relationships to each other, American music, and the Fleisher Collection. To view correspondence with these composers and the Fleisher Collection, browse our Digital Collections.